India-Pakistan's partition has been one of the most sensitive issues of the country and filmmaker Gurinder Chadha's upcoming release 'Partition: 1947' deals with the final pre-Independence days. Chadha took it to micro-blogging site Twitter to share the trailer of her movie which revolves around the life of the life of Lord Mountbatten, the last Viceroy of India. Starring Huma Qureshi, late actress Om Puri and Manish Dayal in key roles, the movie gives us the glimpse of the scenario during India's partition and the entire conspiracy behind it. The trailer traces the politics and bloodshed involved in the partition. 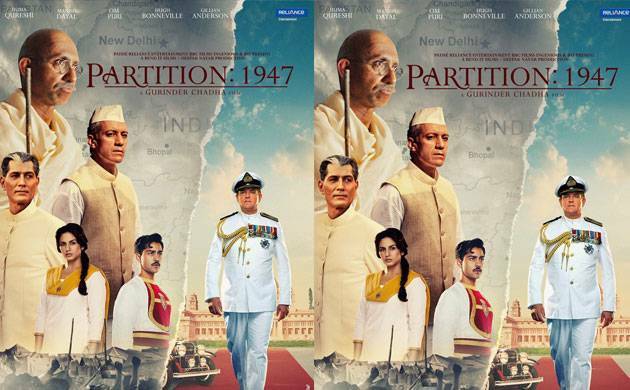 Interestingly, this Gurinder Chadha directorial was titled as 'Viceroy's House' during its release in UK, however, the title has been changed to 'Partition: 1947' for its India release. The movie is slated to release on August 18, few days after India will celebrate its 70th Independence day.